Video gaming – are we asking the right questions? A letter from our March edition. After reading John Cooter’s letter about violence in video games (‘Video games – research shortcomings’, January 2016), and having completed a psychology undergraduate dissertation in video games, I thought I could contribute to highlighting the state of the field, and dispelling some myths. The psychological literature focuses on a narrow range of games that are politically loaded and attractive to the media (notably Grand Theft Auto) – it is also awash with poor methodological designs. Examples include a study which compared participants’ feelings about killing humans to their feelings about killing monsters, where ‘monsters’ were human zombies (Lin, 2011), a three-week study which didn’t control for exposure to violent media outside of the lab (Teng et al., 2011), and a range of studies which have based their conclusions about ‘video game effects’ on a single, action-based game which is predicated on killing. Anderson and Bushman are prominent names in the field. However, their work is largely self-referential (e.g. in their 2001 meta-analysis, nearly a third of the references contained one of the authors). A later meta-analysis was conducted by Ferguson (2007), which took publication bias into account when calculating effect sizes. With this adjustment for social research context, no link was found between behavioural aggression and gaming. This lack of context is arguably the primary problem with psychological video game research. Much research is already outdated. Data from 4000 American households in 2014 (tinyurl.com/ketagyk) suggests that the average ‘gamer’ is 35 years old; nearly half of gamers are women and 74 per cent of gamers are over 18. Smartphones are utilised by 35 per cent of people who game. On desktop computers, ‘shooter’ games make up only 6.4 per cent of games played (and 21.7 per cent of games on other devices). Over half of gaming is done socially. Despite this, psychological research seems to conform to the stereotype of younger individuals playing violent games, on consoles, alone, at home. There is a huge array of games and platforms to explore, from phone-based puzzle games to desktop fantasy adventures. Video games, now ubiquitous, have a broad spectrum of social and cultural meaning. 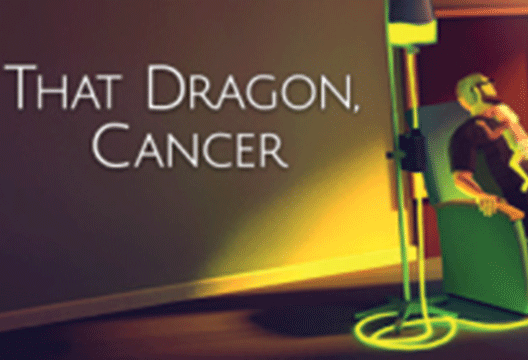 For example, a game called That Dragon, Cancer was recently created by parents who wanted to share, though gaming, how they lost their son to cancer (tinyurl.com/hqzmn3o). This being the case, where is the psychology exploring the wider aspects of playing games, rather than simply ‘aggression’, ‘motor skill’ and ‘prosocial behaviour’? Where are the psychologists developing reliable and valid measures or methodologies? Where are the psychologists exploring who chooses to play what, and why, and what significance this has? If the profession of psychology insists on a decontextualised and individualised understanding of ‘gaming’, then it is little wonder that the research base is not getting answers. Perhaps first, we need to start asking the right questions. Anderson, C.A. & Bushman, B.J. (2001). Effects of violent video games on aggressive behavior, aggressive cognition, aggressive affect, physiological arousal, and prosocial behavior: A meta-analytic review of the scientific literature. Psychological Science, 12(5), 353–359. Ferguson, C.J. (2007). The good, the bad and the ugly: A meta-analytic review of positive and negative effects of violent video games. Psychiatric Quarterly, 78(4), 309–316. Lin, S.F. (2011). Effect of opponent type on moral emotions and responses to video game play. Cyberpsychology, Behavior, and Social Networking, 14(11), 695–698. Teng, S.K.Z., Chong, G.Y.M., Siew, A.S.C. & Skoric, M.M. (2011). Grand Theft Auto IV comes to Singapore: Effects of repeated exposure to violent video games on aggression. Cyberpsychology, Behavior, and Social Networking, 14(10), 597–602. Hi thank you very much for this article. As a psychologist, I do work in gamification. I do agree with the author when it comes to videogames the audience attention is directed to "violent" videogames only which are a slice of the pie. That sample is not representative for thoughtful reflections.